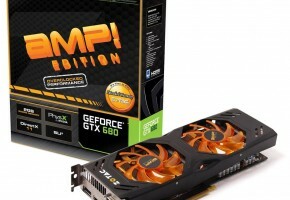 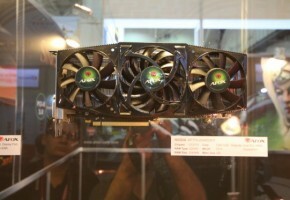 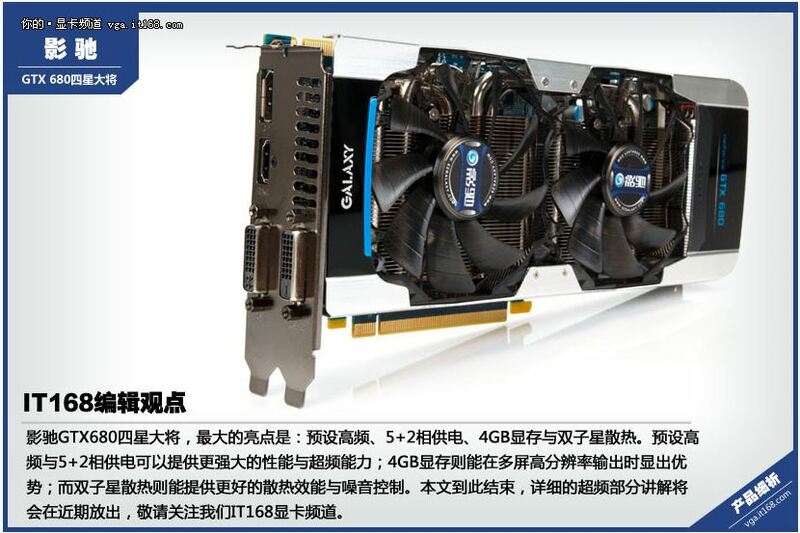 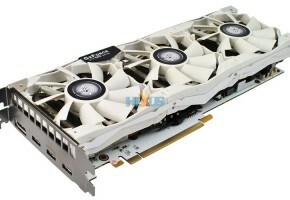 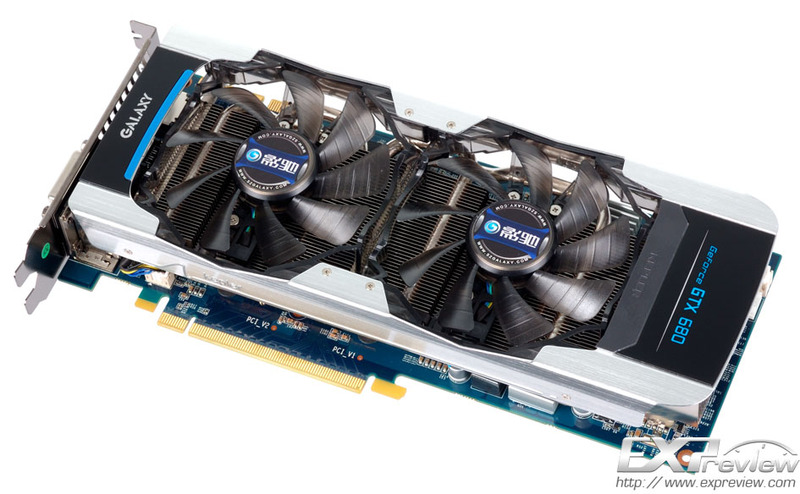 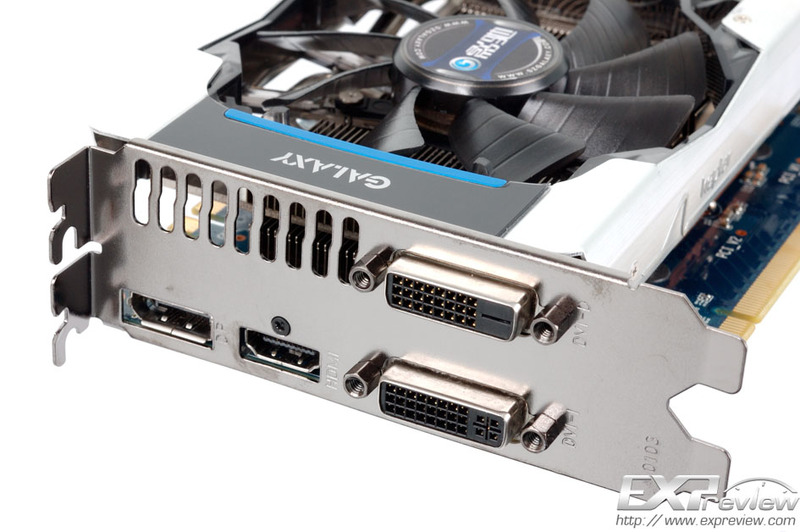 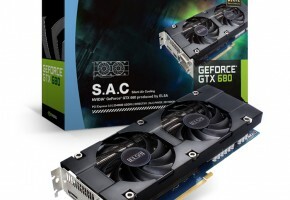 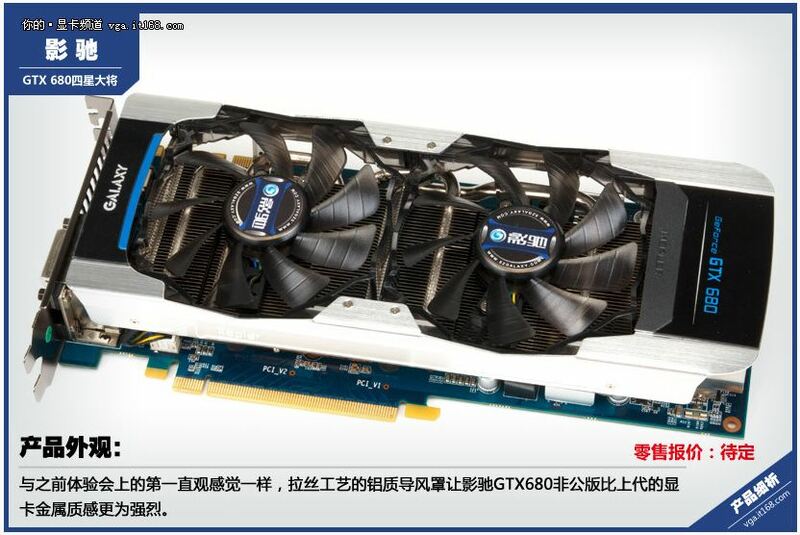 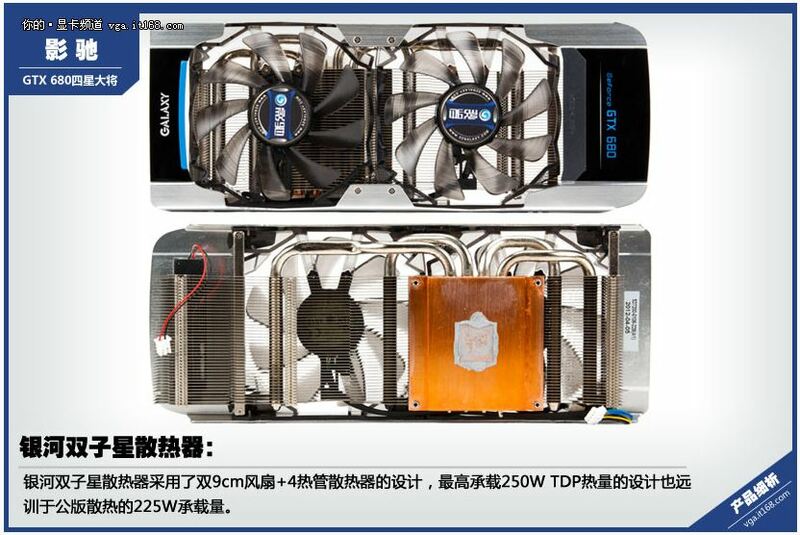 Galaxy readies new GTX 680 graphics card equipped with 4GB of memory. 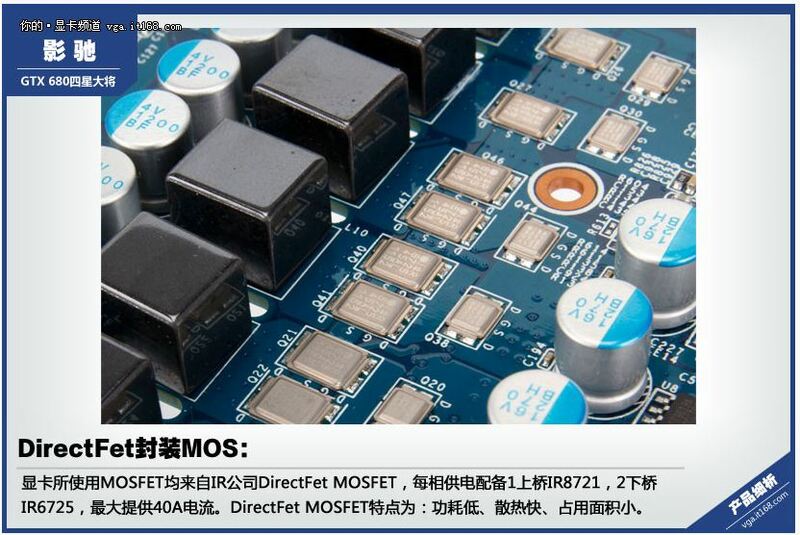 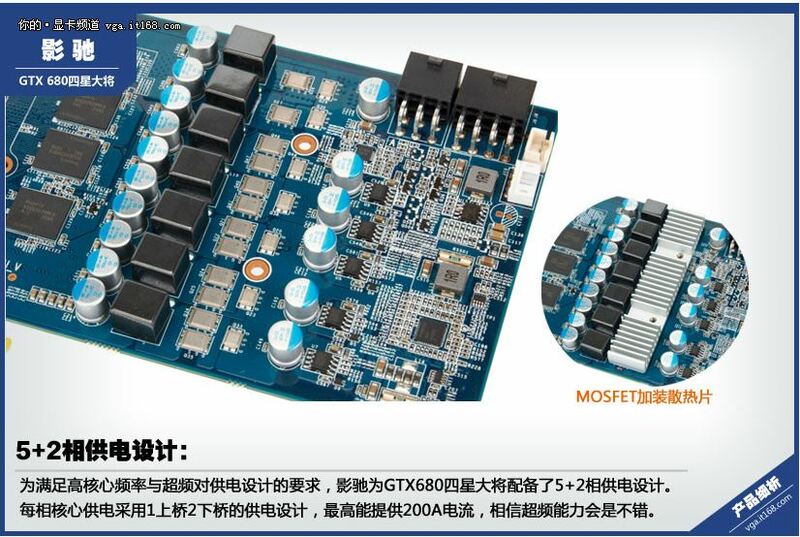 It features non-reference design and factory-overclocked setup. 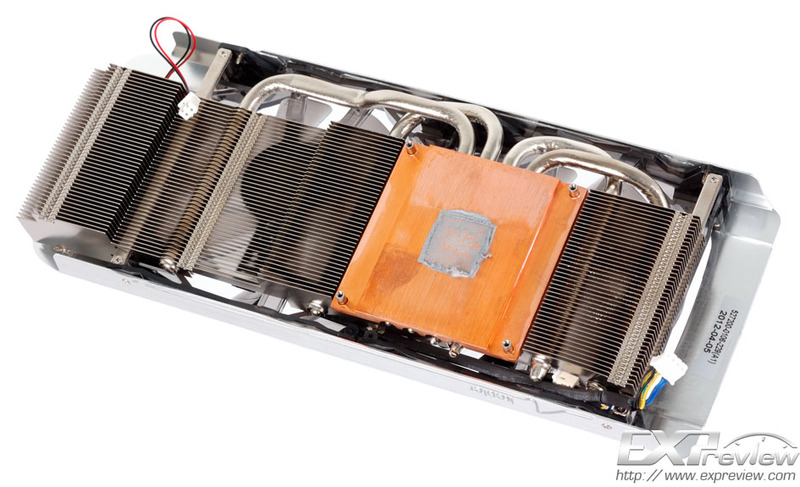 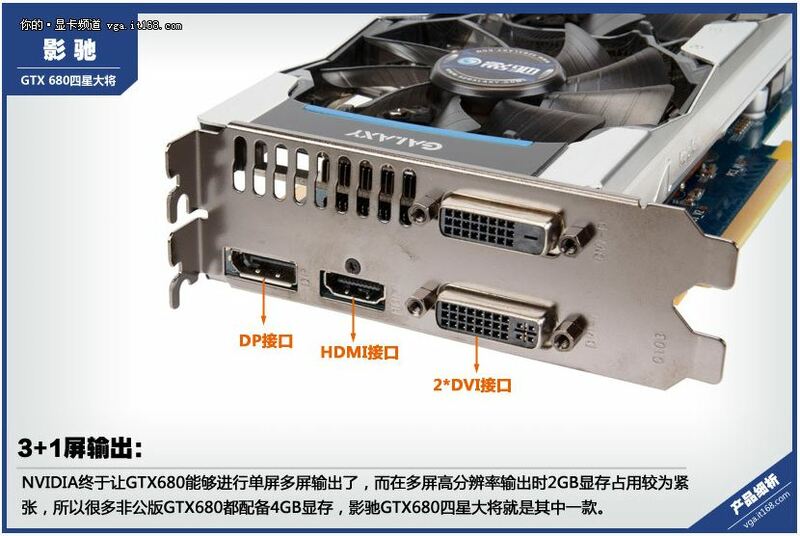 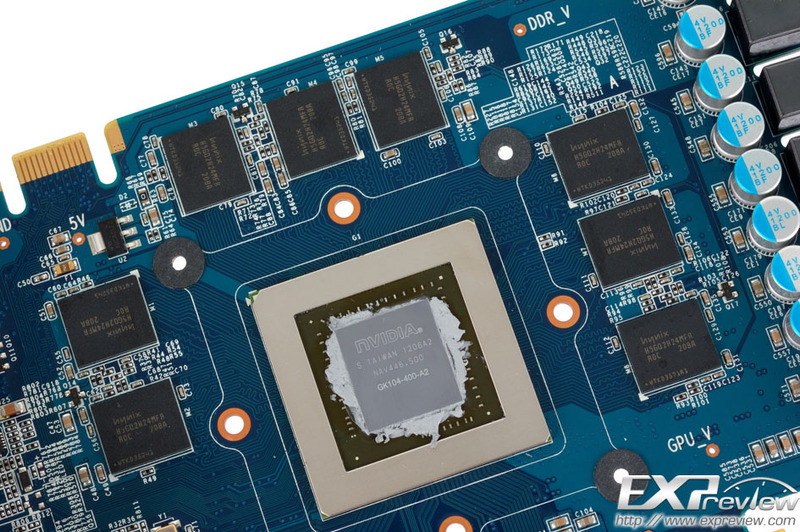 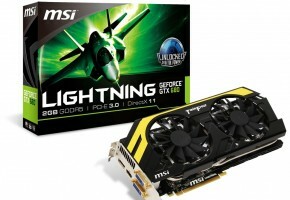 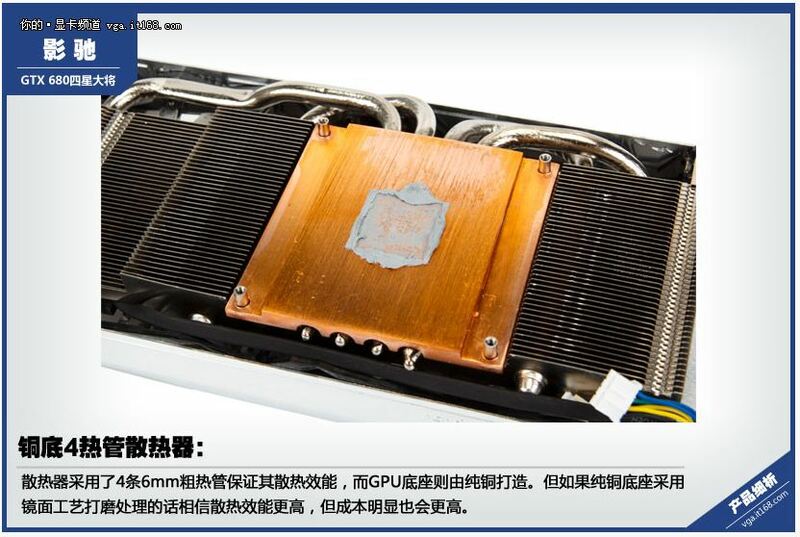 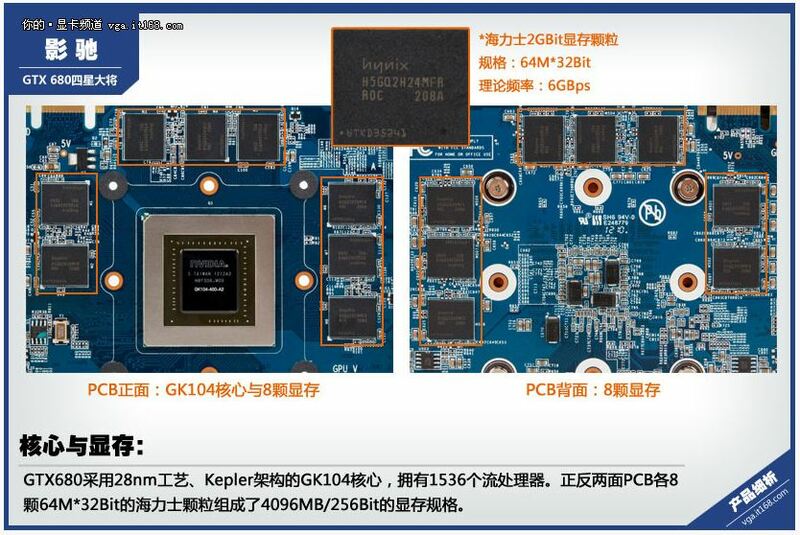 Galaxy GeForce GTX 680 4GB called “Gemini” has a base core clock of 1110 MHz. 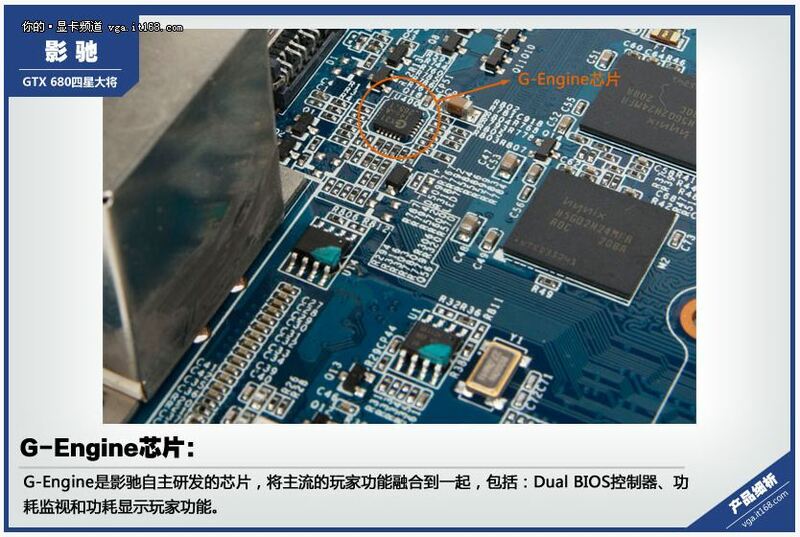 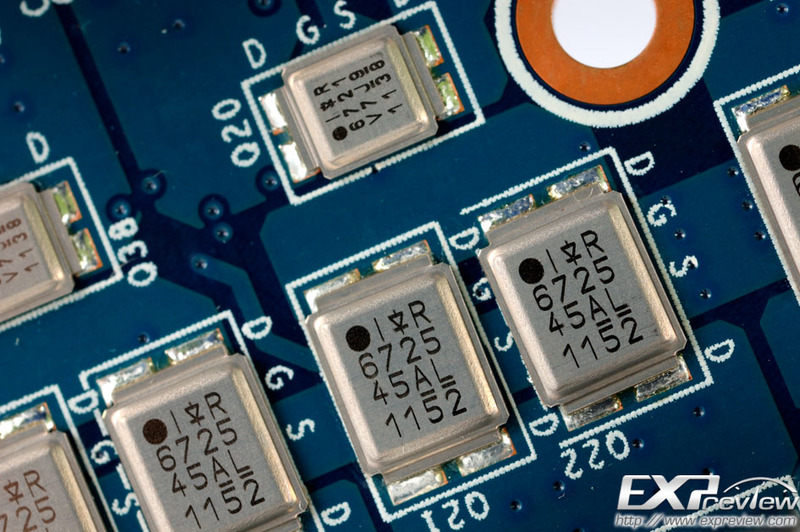 Boost clock was set to 1162 Update: 1176 MHz, while memory remains as default 1502 MHz. 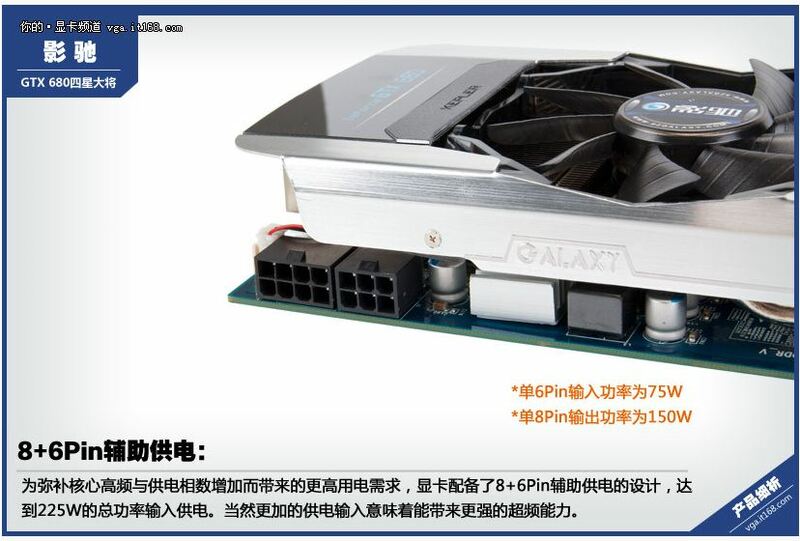 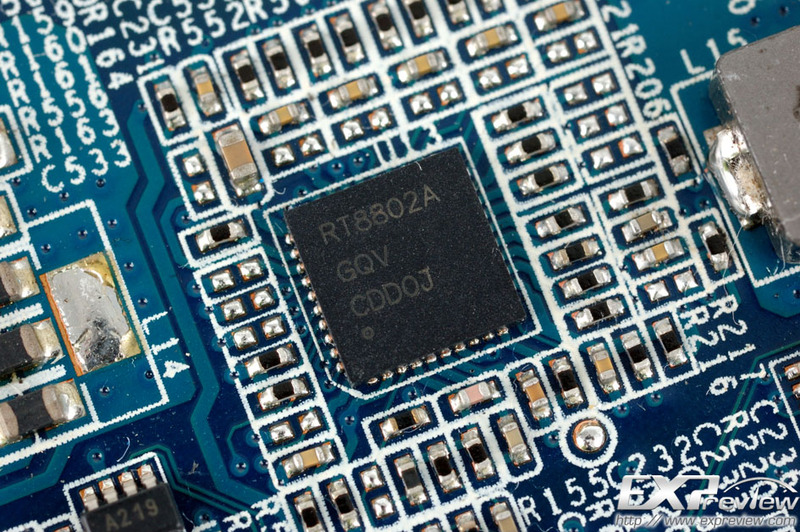 Galaxy used dual-sided memory increasing its capacity to 4GB. 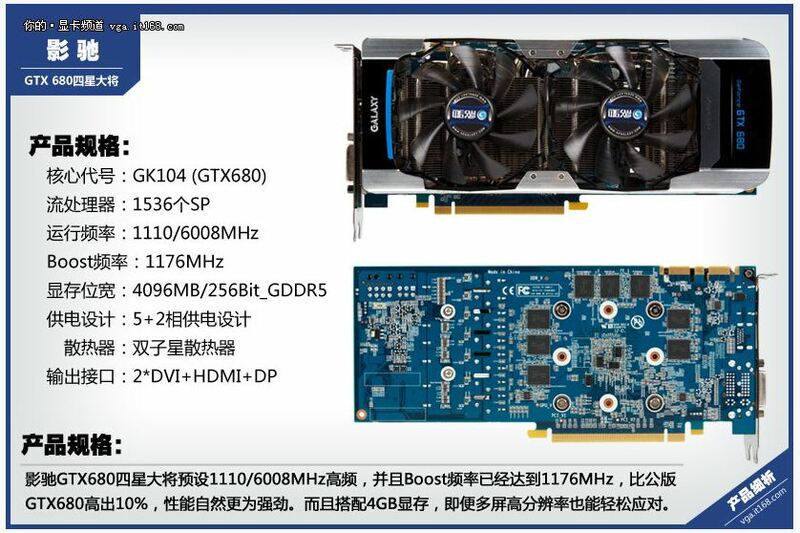 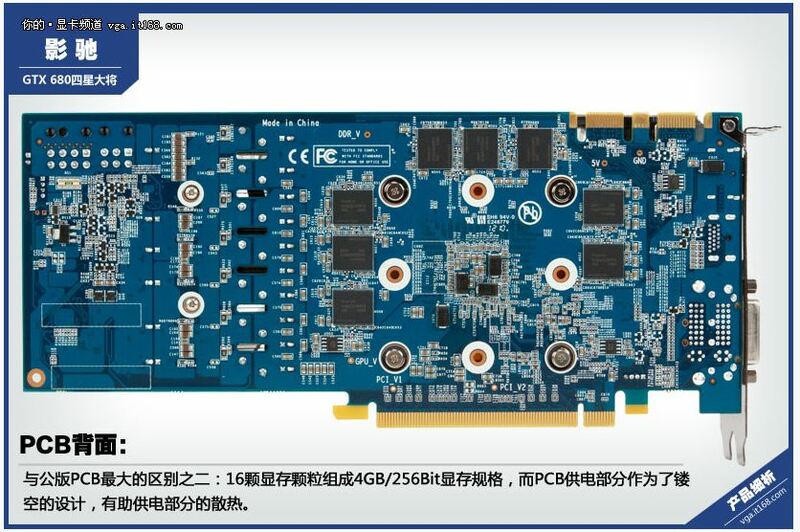 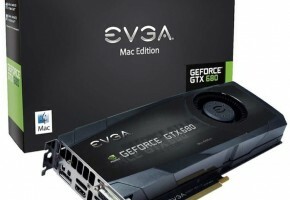 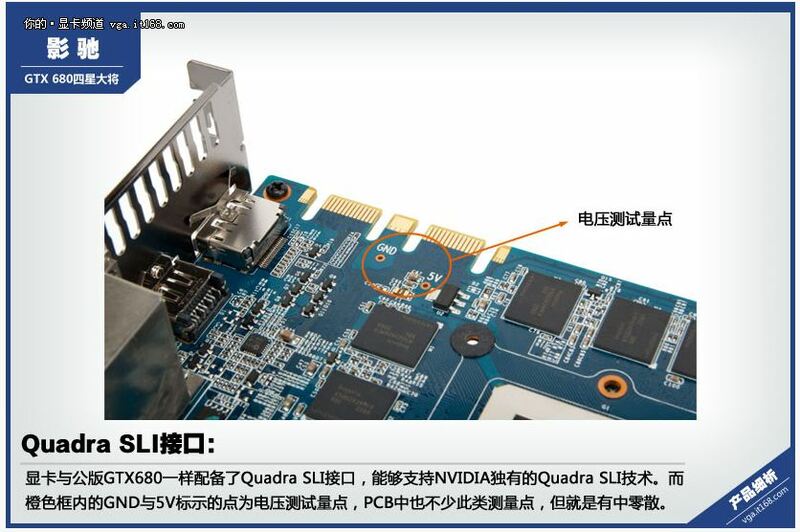 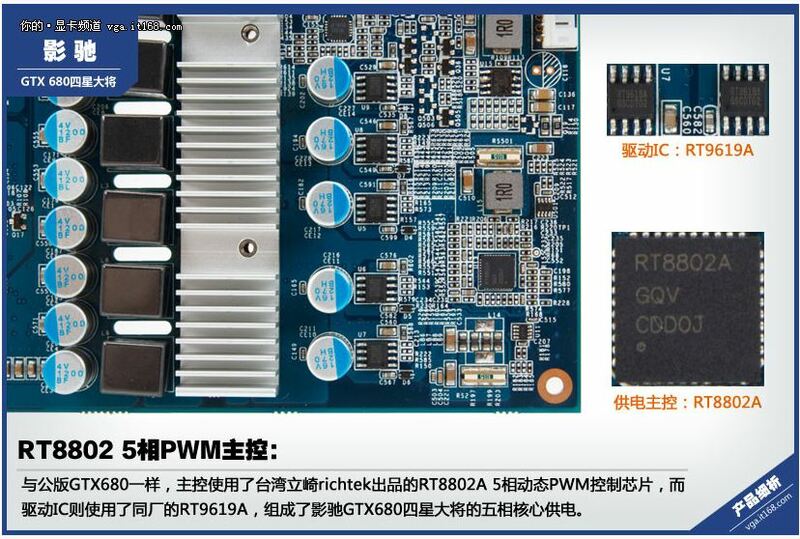 This card is still featuring 256-bit memory interface, performance boost over 2GB model may not be as high as expected. 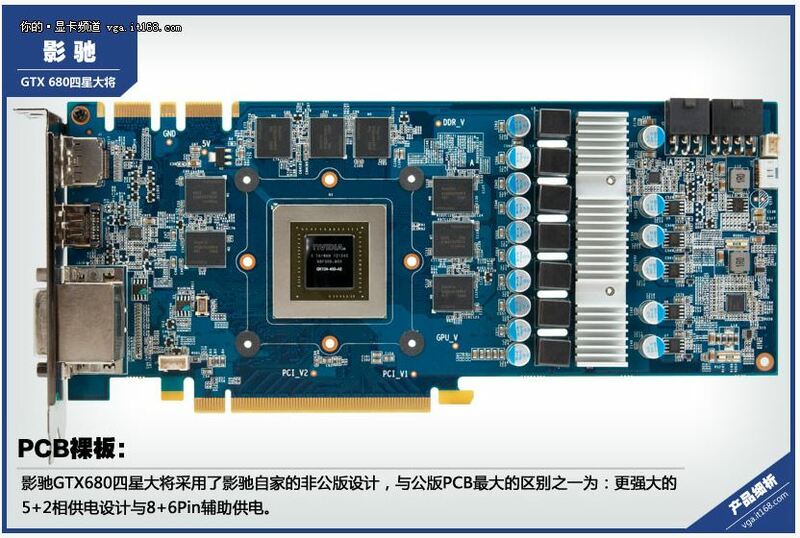 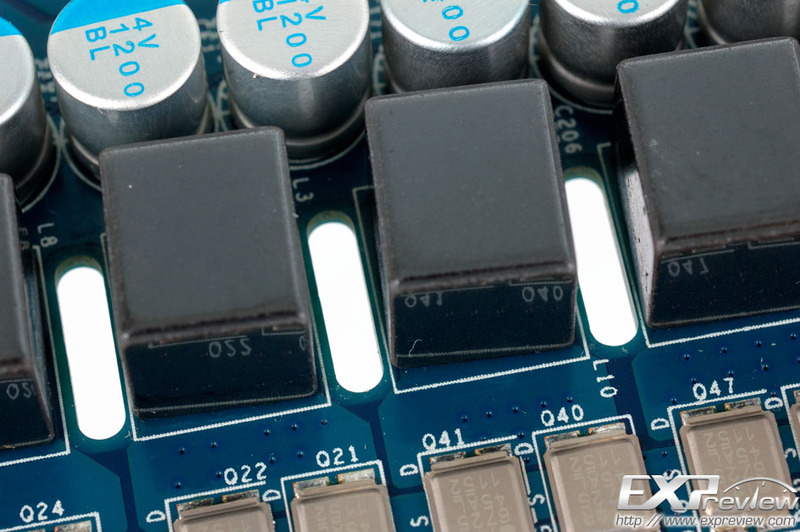 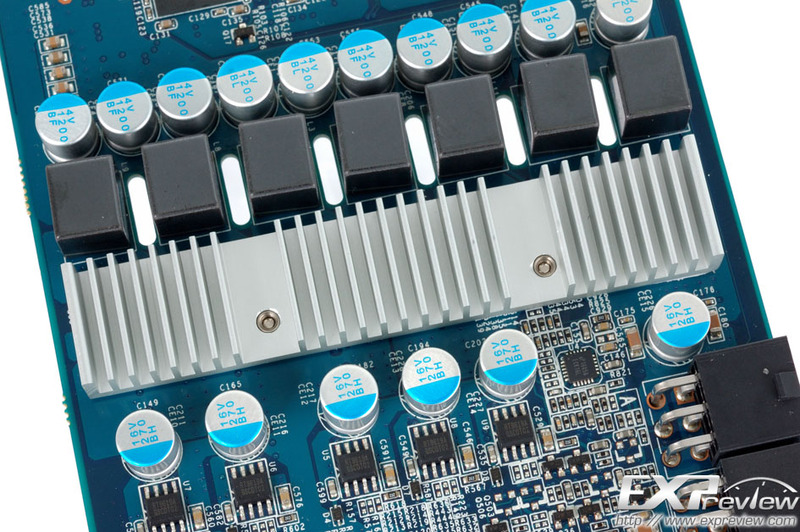 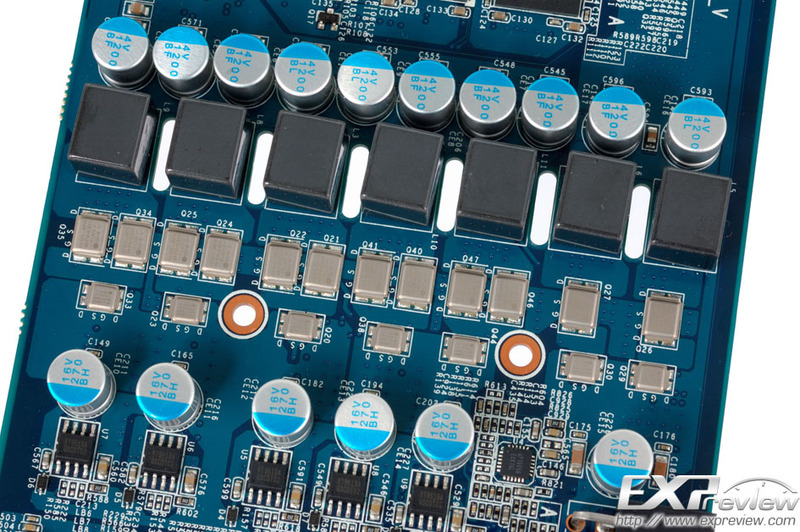 This card requires both 8-pin and 6-pin power connectors, also heatsink is noticeably bigger with increased cooling capacity to 250 Watts (in comparison to reference 225 Watts). 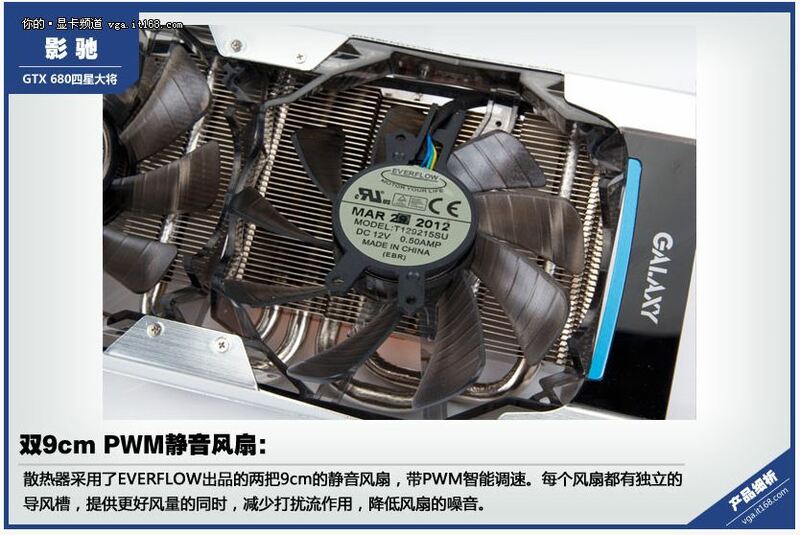 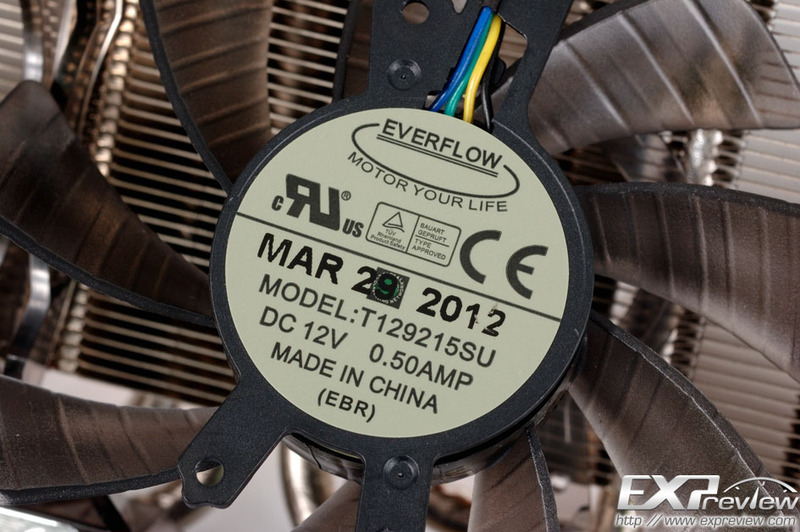 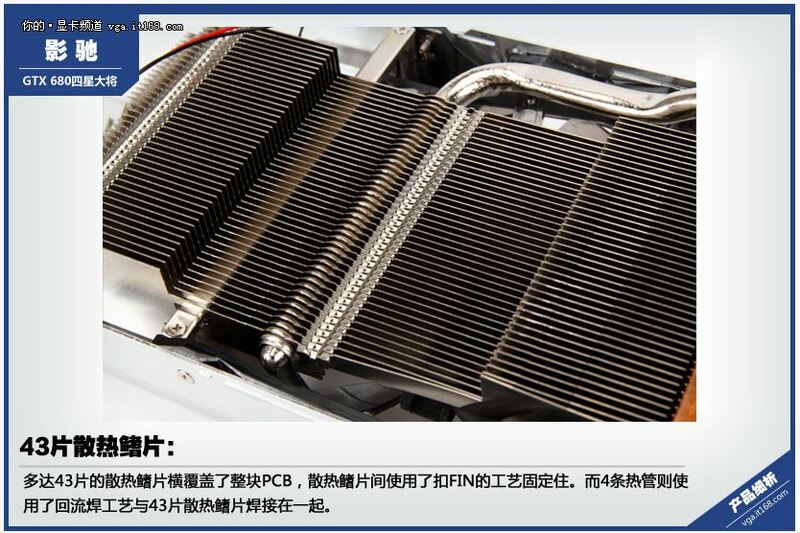 It is equipped with more efficient 5+2 Phase VRM. 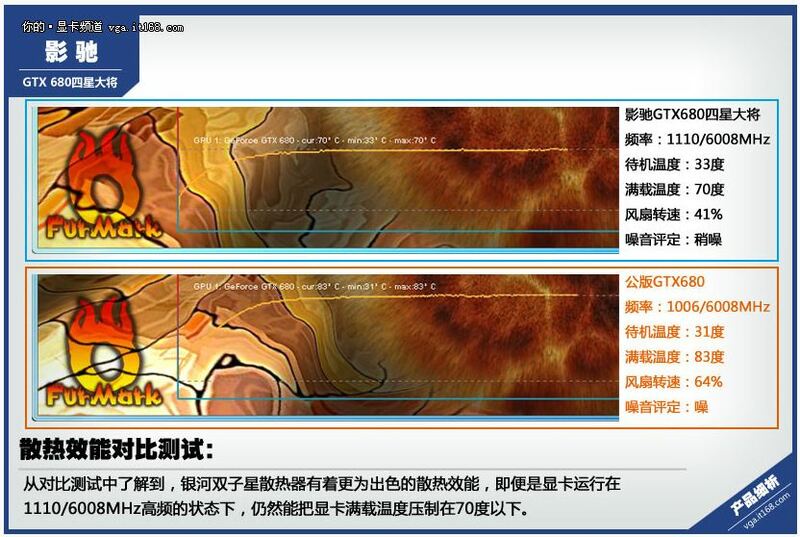 Price and release date ware not yet revealed.